Grab a good deal on a wireless Brother printer from Staples right now! 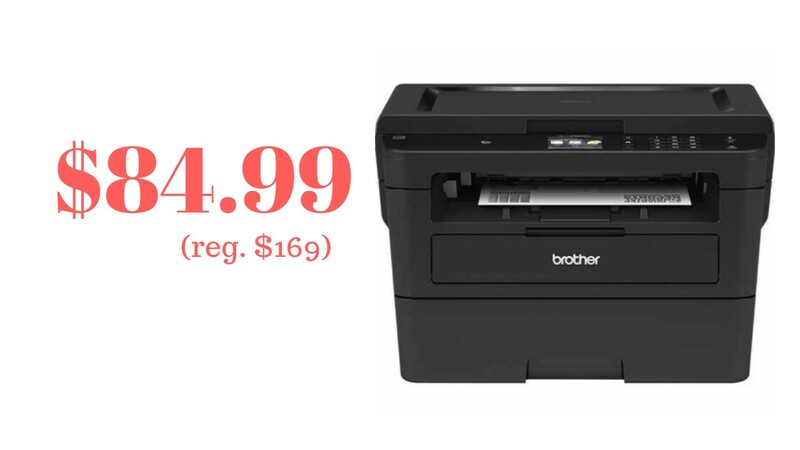 They’re offering the Brother All-In-One copier, printer, and scanner for $99.99 (reg. $169.99). You can order online, but the better deal is to head in to the store and use this $15 off any $75 purchase coupon with it. After the coupon you’ll pay $84.99 + tax or basically get it 50% off! The coupon is only good in stores. This is the big brother (pun intended) of the version I normally recommend. You’ll only have to replace the toner once a year and it only costs about $12-$15 each time!! Never paying for ink again is going to be amazing! You don’t have to just listen to me though, this printer has great reviews!